International students are invited for a PhD scholarship in photonics at The University of Queensland. Successful candidate will have funding to work and study for three years in Australia. Applications are invited up to January 06, 2019. The School of Chemistry & Molecular Biosciences at the University of Queensland (UQ) is one of Australia’s leading schools in the disciplines of chemistry and biosciences (http://www.scmb.uq.edu.au/) and hosts a number of first-class research centres with modern research laboratories for state-of-the-art equipment and research infrastructure. The successful PhD candidate will undertake the development (materials design, synthesis and characterization) of functional organic materials for opto-electronics (e.g., organic light-emitting diodes and photodetectors). The candidate will work under the supervision of Dr. Lo at UQ’s Centre for Organic Photonics and Electronics (COPE) (http://www.physics.uq.edu.au/cope/node/2). Applicants should possess a BSc Hons, MSc, or equivalent, majoring in a relevant discipline (e.g. chemistry or material chemistry). Candidates should show strong academic performance (e.g. a 1st Class Honours degree or equivalent in chemistry), and have good oral and written communication skills. Good research experiences with relevant techniques, such as multi-step material synthesis, purification and characterisation, as well as material chemistry will be favorably considered. Both domestic and international candidates are welcome to apply. 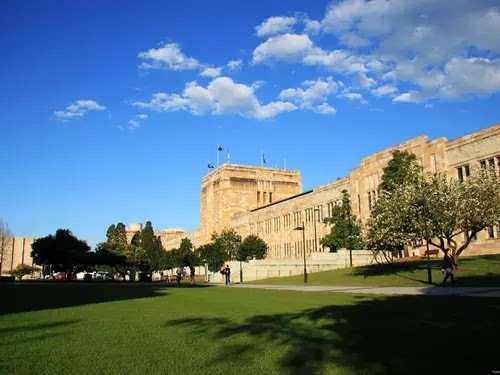 SCMB will assist the successful applicant with their application for admission, but note that a successful application to SCMB for this research project does not guarantee a successful application to the UQ Graduate School for admission. Selected prospective students will receive assistance to apply for University living allowance and tuition fee scholarships. The 2018 Research Training Program (RTP) living allowance stipend rate is AUD$27,082 (indexed annually), which is tax-free for three years with two possible extensions of up to 6 months each in approved circumstances (conditions apply). For further information on scholarships refer to:http://www.uq.edu.au/grad-school/scholarships-and-fees.